Understanding one's health conditions plays a key role in a patient's response to illness, influencing stress levels and the likelihood of following treatment regimens and advice. Thus, the explanation of illness is a critical component of the interactions between health care providers and their patients. 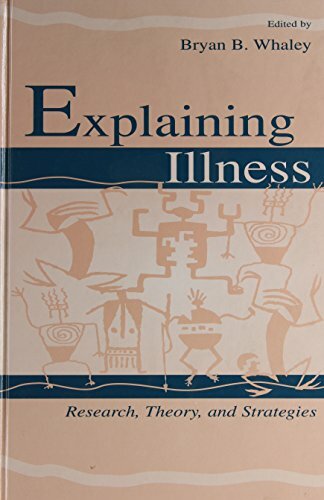 Emphasizing these exchanges and their potential for improving health and well being, Bryan B. Whaley has assembled this collection to serve both as a foundation for further research on explaining illness and as a resource for provider-patient interaction. Contributors from the communication and health care disciplines examine the purpose and methods of explaining illness, as well as the role that illness explanations play in framing and reframing meaning and uncertainty regarding one's health welfare. Including theoretical, developmental, and cultural factors, the elegance of this book is the richness in the differences among populations and communication strategies, and the articulation of the intricacies of language, illness, and culture in the explanations. As a resource for scholars and students of communication, medicine, nursing, public health, social work, and related areas, this volume establishes a benchmark from which to examine and evaluate current theory and strategies in explaining illness, and to launch systematic research endeavors. Health practitioners will also find the book invaluable in their exchanges with their patients, as a unique source of information on the factors influencing the explanation of illness.